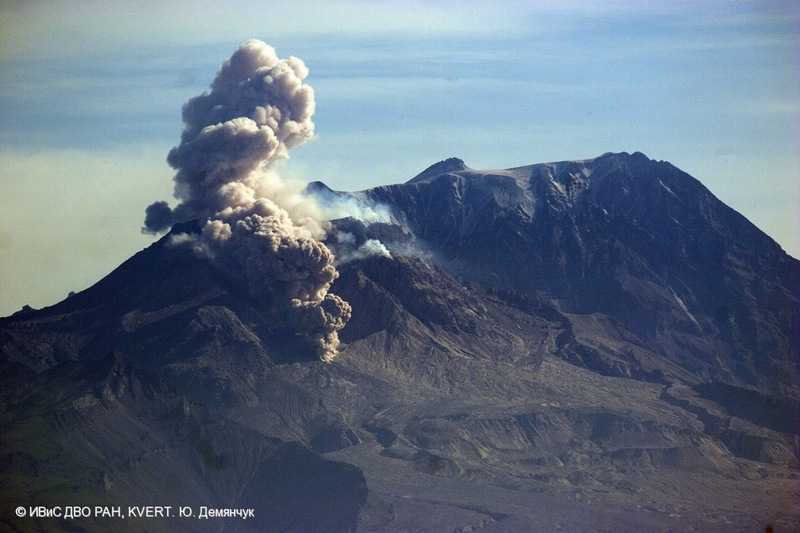 Explosive activity of Sheveluch volcano on 23 September, 2016. Explosive-effusive eruption of the volcano continues. 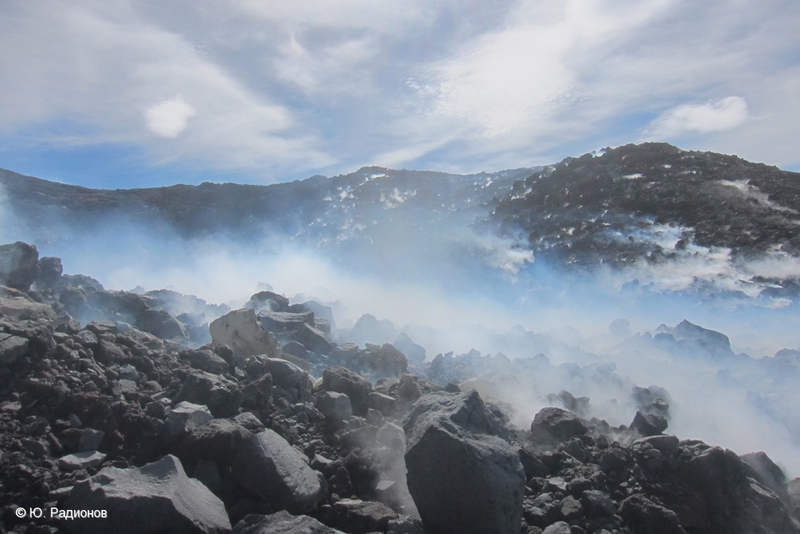 There are ash explosions from the summit crater and lava flows at the eastern volcanic flank. 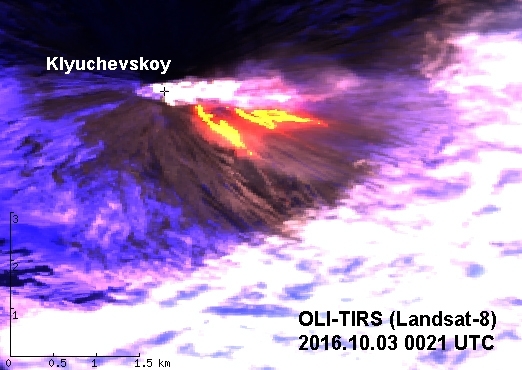 Gas-steam activity of Karymsky volcano on 14 September, 2016. Academy Nauk volcano. 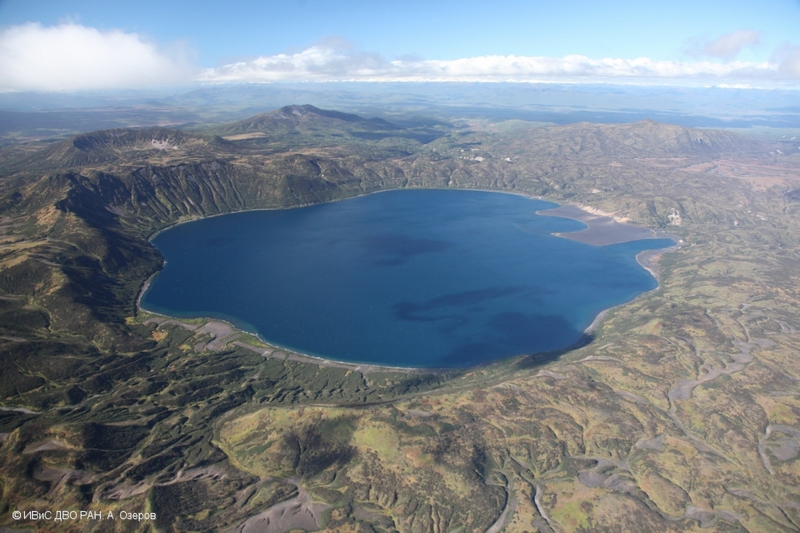 In the volcanic caldera located Karymskoe Lake. 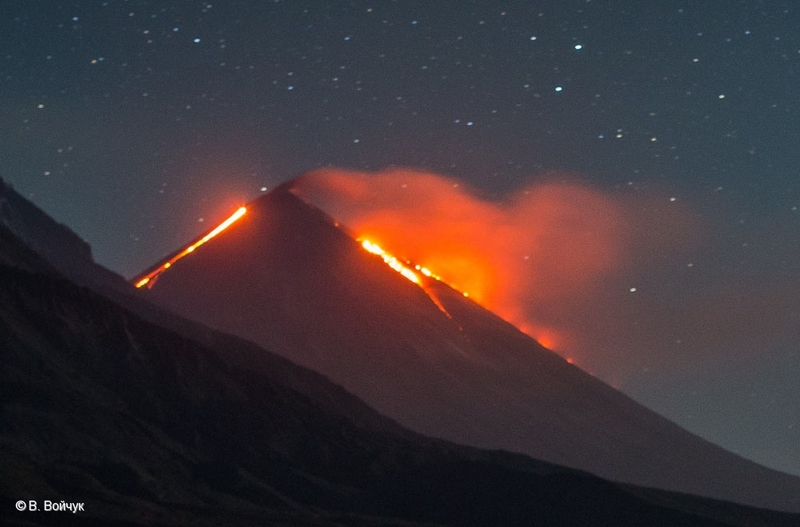 Explosive-effusive eruption of the volcano continues. 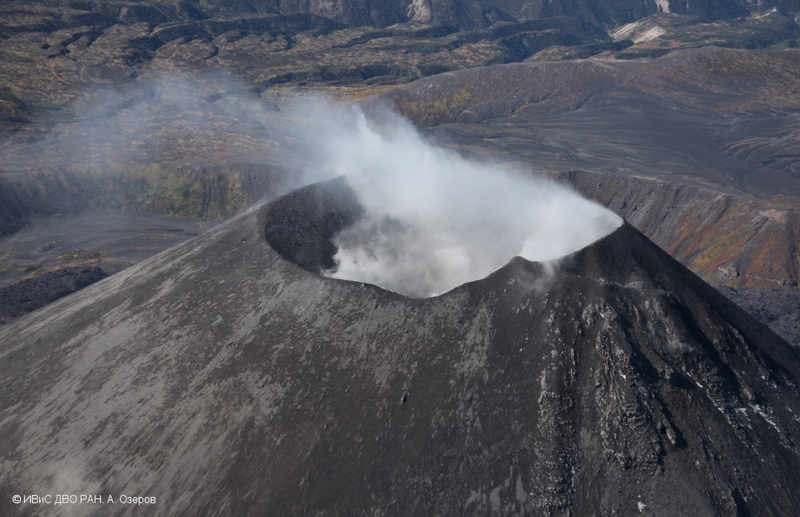 There are Strombolian activity of the summit crater and lava flows at the eastern flank of the volcano. Explosive-effusive eruption of the volcano continues. 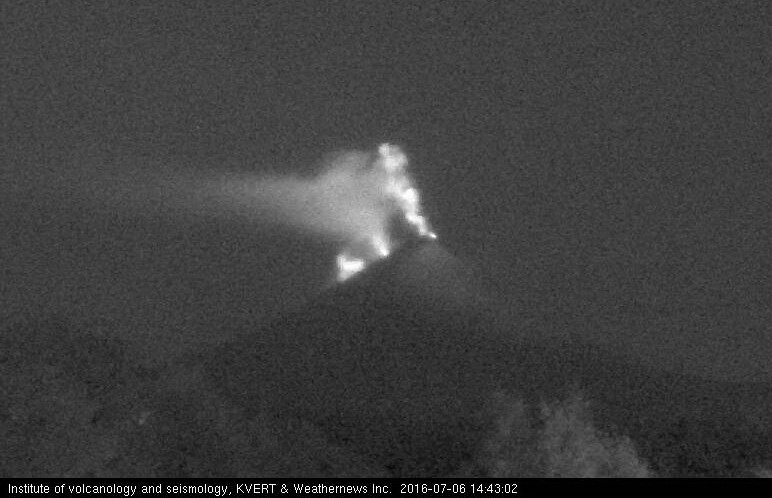 There are ash explosions from the summit crater. 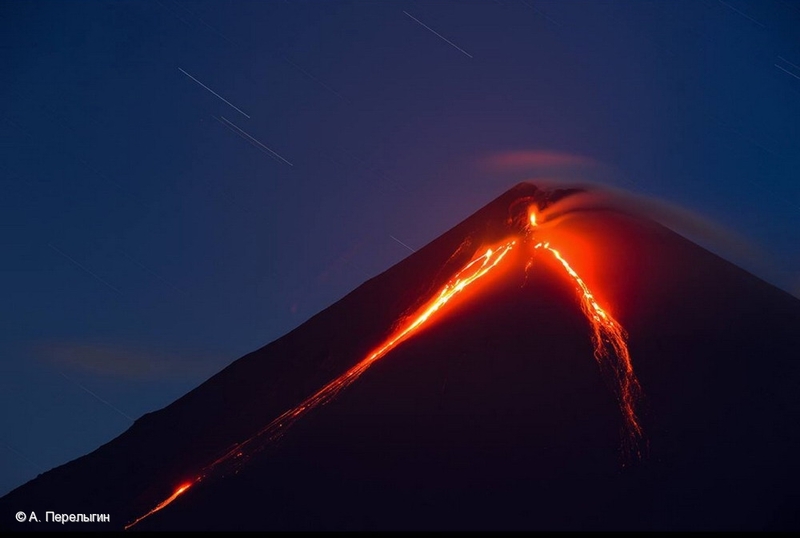 Explosive-effusive eruption of the volcano continues. 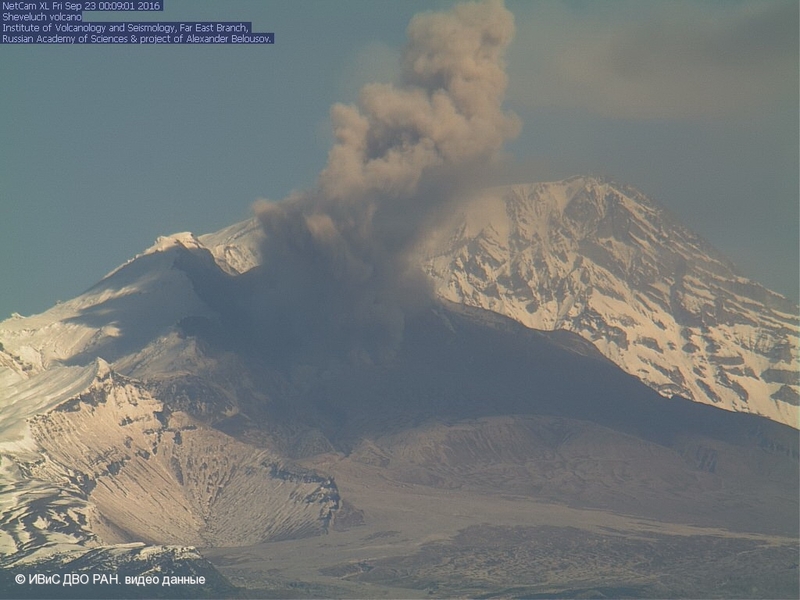 There are ash explosions from the summit crater, and a fumarole activity of cinder cone into Apakhonchich chute and gas-steam with small amount of ash clouds over lava flows at the eastern flank of the volcano. Explosive-effusive eruption of the volcano continues. 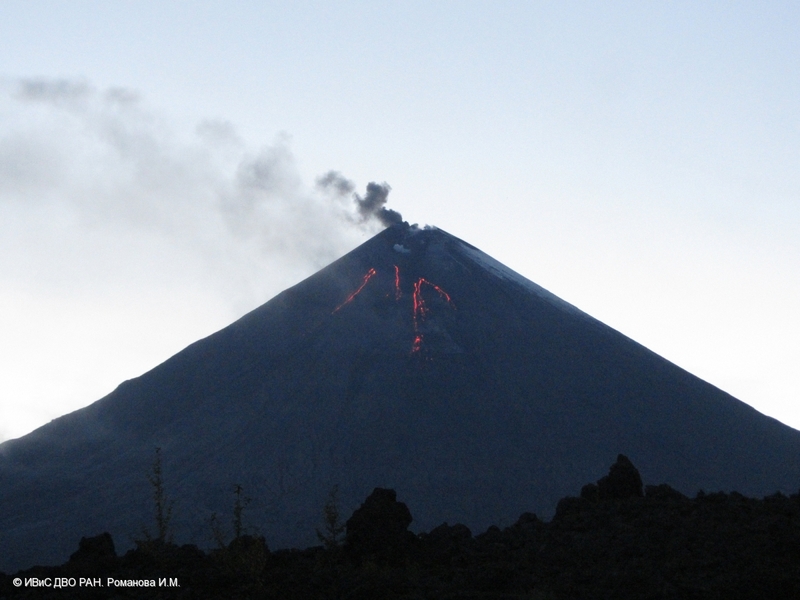 There are ash explosions from the summit crater and lava flows at the eastern flank of the volcano. 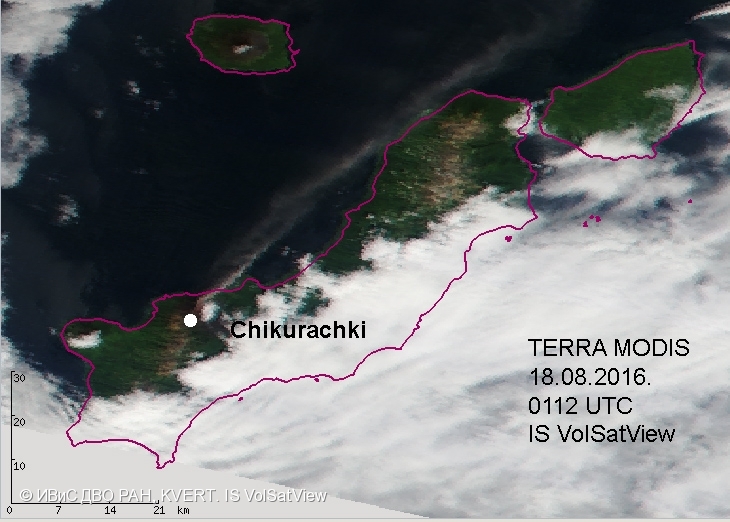 Ash plume to the south-east from Chikurachki volcano on 30 August, 2016, at Landsat-8 (NASA) satellite image. 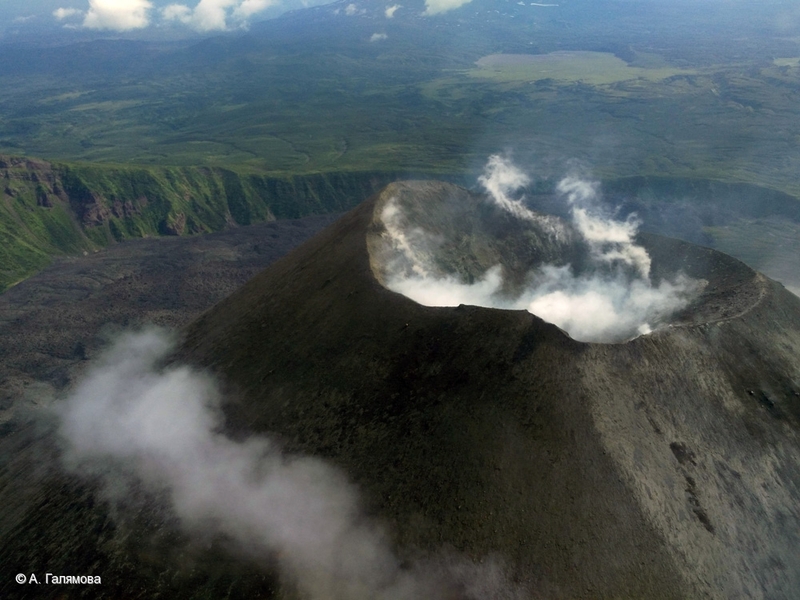 Large fumarole activity of Bezymianny volcano (into crater of the lava dome summit) on 26 August 2016. 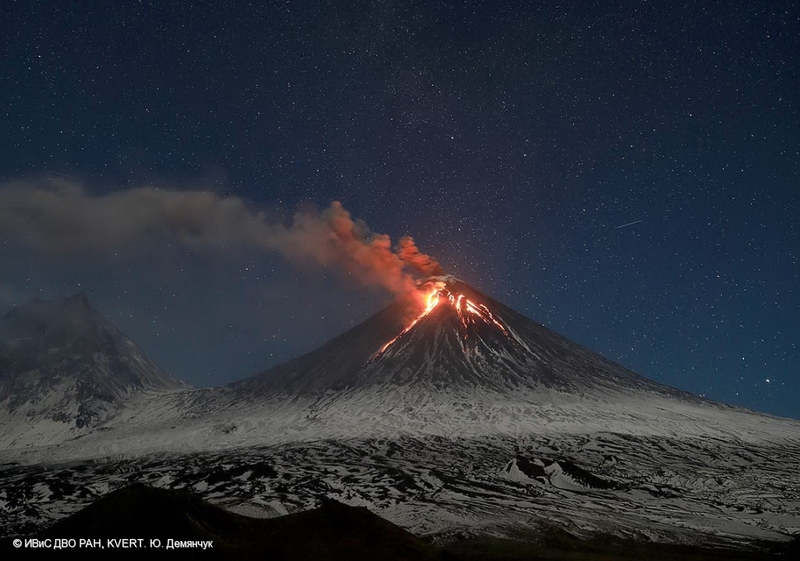 Explosive-effusive eruption of Klyuchevskoy volcano continues - lava flows move downwards on the eastern and south-western volcanic flanks. 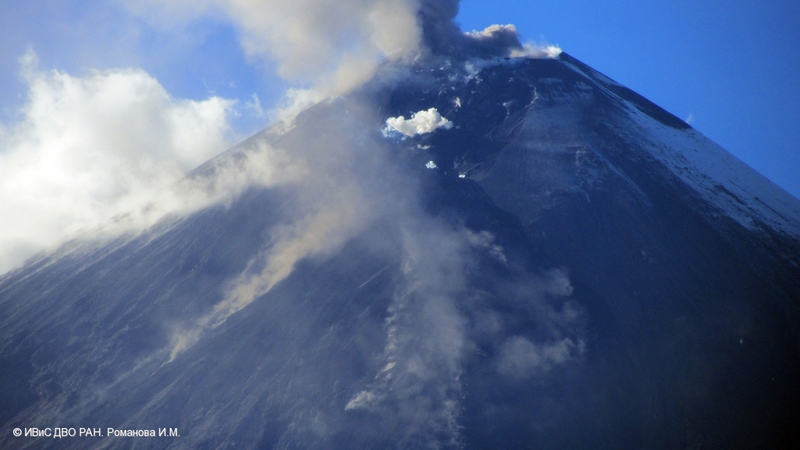 Weak fumarole activity of Bezymianny volcano on 24 August, 2016. 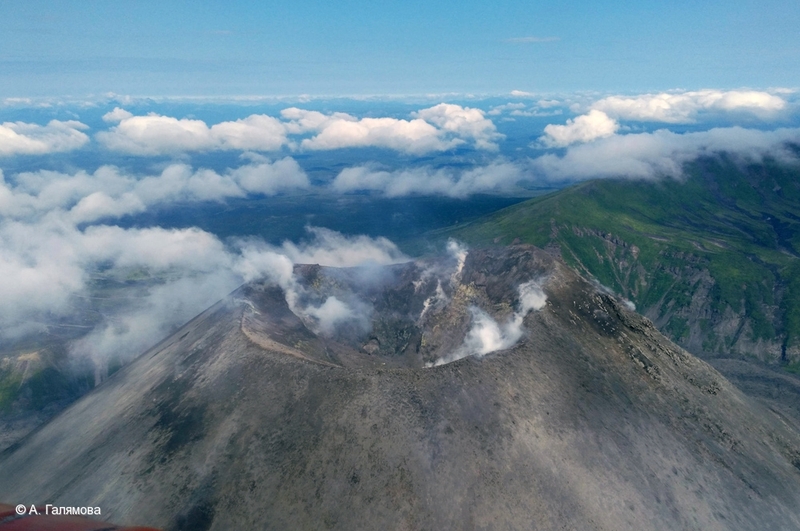 A gas-steam plume containing ash is extending for about 100 km to the northeast from Chikurachki volcano, Northern Kuriles. 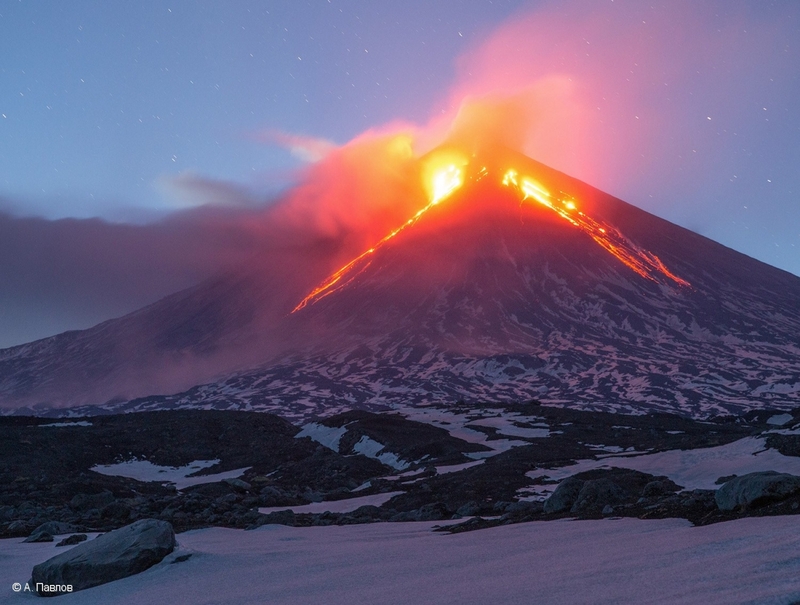 Explosive activity of the summit crater of Klyuchevskoy volcano and cinder cone into Apakhonchich chute; lava flows at the eastern flank of the volcano. 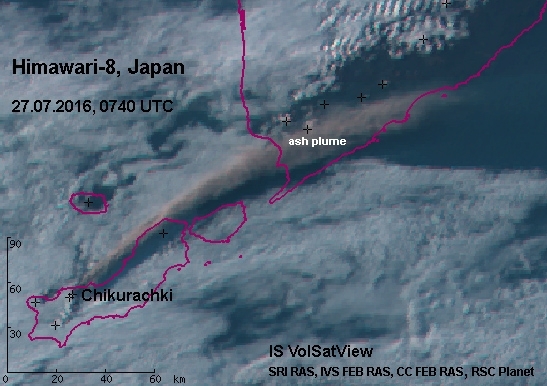 An ash plume is extending for about 212 km to the northeast from Chikurachki volcano, Northern Kuriles. 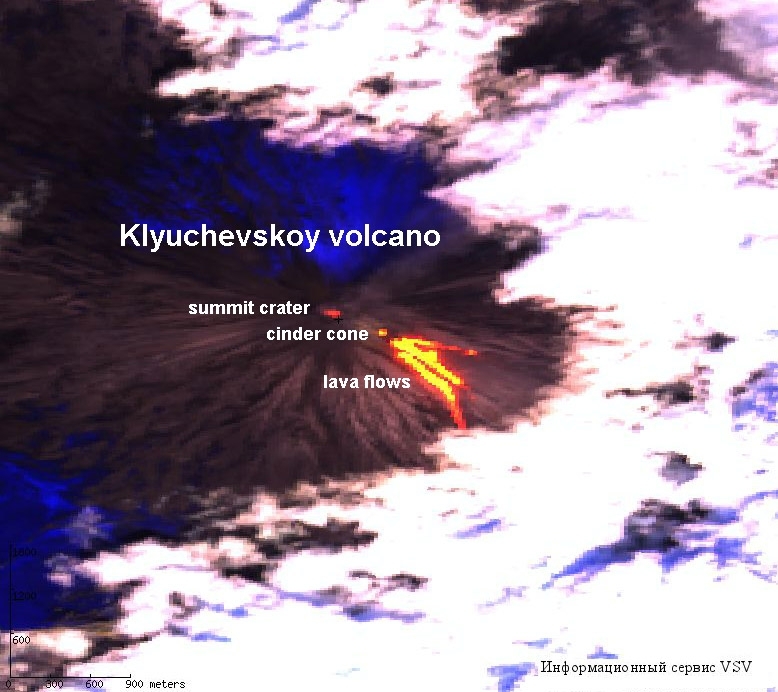 Fumarole activity of Karymsky volcano on 21 July, 2016. 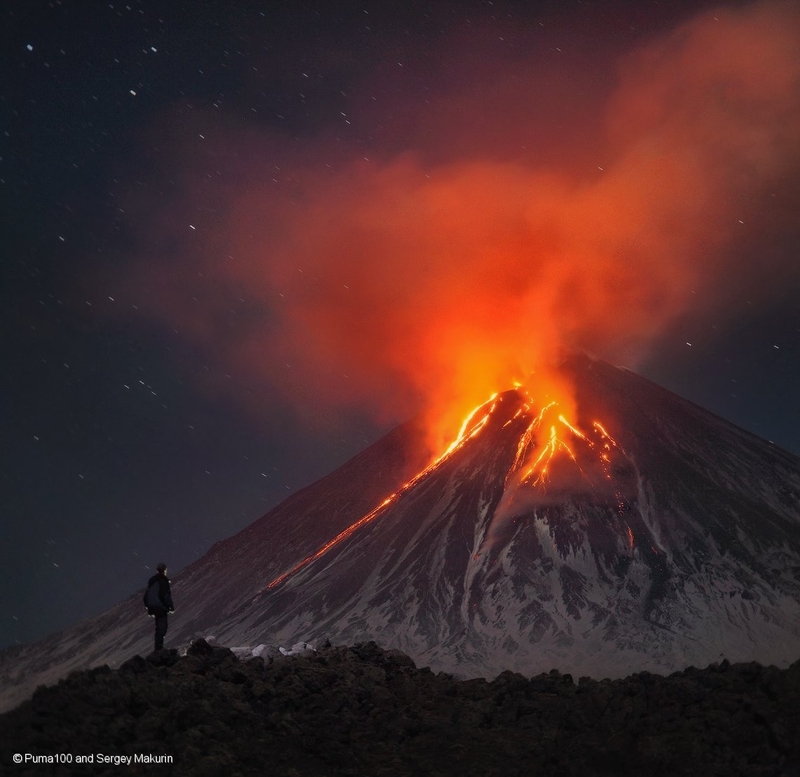 Fumarole activity of Karymsky volcano on 22 July, 2016. 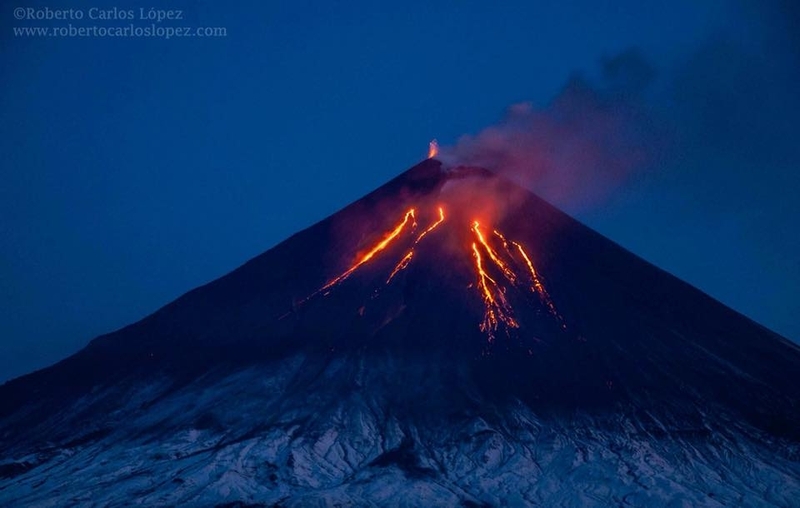 Hot avalanche from western flank of the lava dome of Sheveluch volcano sent ash up to 3.5 km a.s.l. on 12 July, 2016. 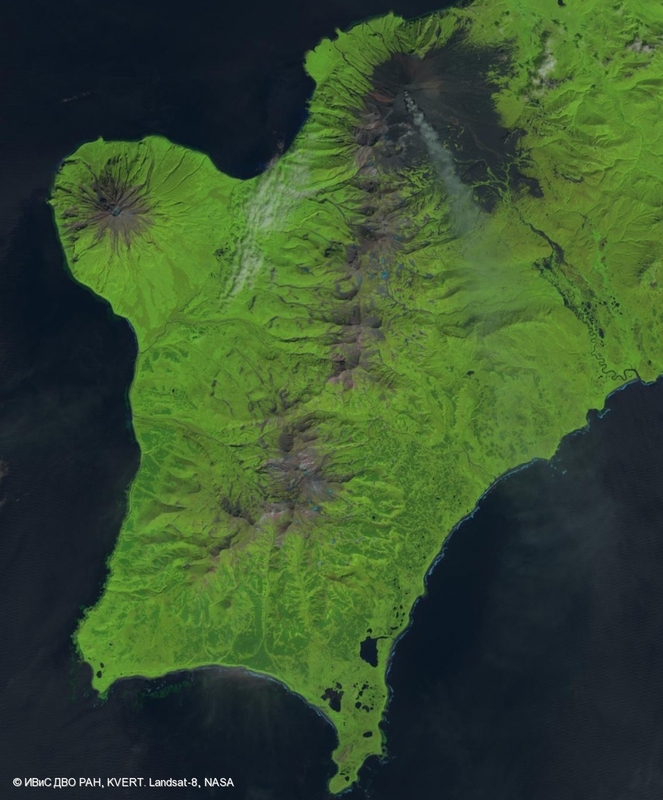 Satellite image of OLI-TIRS (Lansdat-8) at 00:14 UTC July 08, 2016. Wall of fire: ash column up to 7.5 km a.s.l. 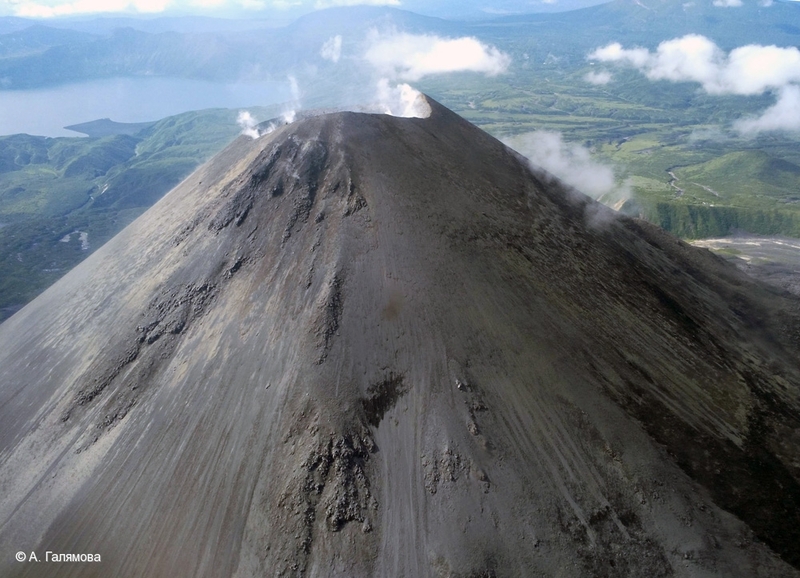 above the summit crater of Klyuchevskoy volcano, ash column up to 7 km a.s.l. 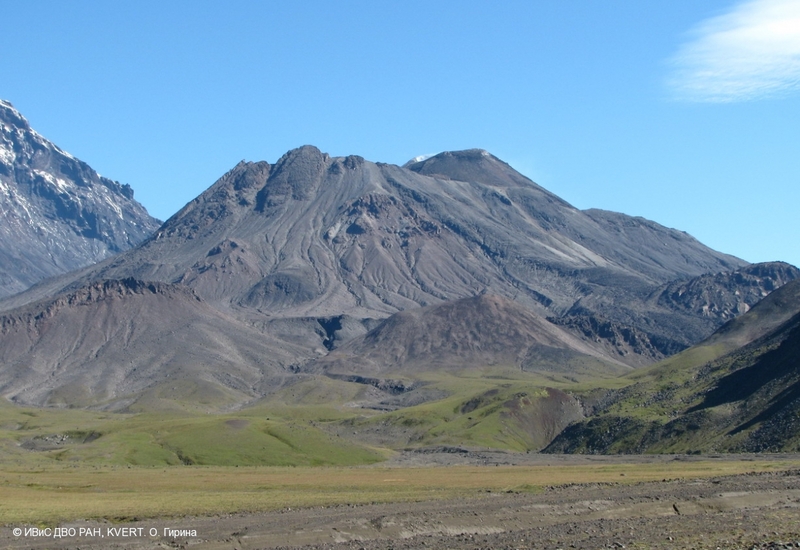 above a cinder cone into Apakhonchich's chute at the south-eastern volcanic flank, and above a lava flow front.